Under certain circumstances, the Vizit solution can fail to retract properly. This usually occurs when files are modified in the Vizit installation directories, a Web Front End is not properly connected to the farm, or some other configuration problem exists in the farm that prevents SharePoint from properly retracting the Vizit solution. Follow the steps below on each Web Front End in your farm to ensure that Vizit is completely removed. Before any installed Vizit files should be modified you must be sure that the solution is fully retracted and all Vizit features have been deactivated and uninstalled. For this section of the KB, you must have access to the command line tool, STSADM. It is located in the BIN of the SharePoint directory on any one of your Web Front End servers. For the purpose of this KB, perform the following operations on the server that is running the Central Administration Web Application. The above path would end in 14\BIN for SharePoint 2010 and 12\BIN for SharePoint 2007. Repeat step three for each Web Application that Vizit was deployed to. If any of the retractions fail, you may have to deactivate and uninstall any features that are part of the solution. Repeat this for each of the Vizit features. Repeat this for each of the Vizit features listed above as well as the Vizit.Admin feature (VizitAdmin in SharePoint 2007). Navigate to the Resources directory and delete all files that start with "Vizit". You may have to run stsadm -o copyappbincontent on each of your Web Front Ends to ensure that all sitemap information has been removed. If you are still receiving errors relating to "sitemap", you may have to navigate to the _app_bin directory of each of your Virtual Directory folders in inetpub to remove lines referencing "vizit" in the admin.sitemap file. Navigate to TEMPLATE\FEATURES and delete any folders starting with "Vizit". 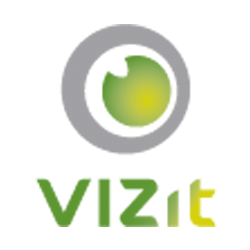 Navigate to TEMPLATE\CONTROLTEMPLATES and delete all files that start with "Vizit". Navigate to TEMPLATE\LAYOUTS and delete the Vizit folder. The last step that must be completed is deleting the assemblies that are installed in the Global Assembly Cache (the GAC) when the Vizit solution is deployed. Delete all assemblies that start with "Vizit", "Atalasoft", and "Aspose". "Aspose" and "Atalasoft" are third-party libraries that maybe used by other products you have installed on your server. It is important to know what is using each of the assemblies you are deleting before they are removed. Due to the introduction of User Account Control (UAC) in Windows Vista, Windows 7 and Windows Server 2008, you may need additional permissions to remove assemblies from the GAC. In some cases, it is easiest to disable UAC while performing this step of the uninstallation process via the Control Panel. A restart may be required to make this change. After all of these steps are completed on each Web Front End and the Central Administration server, Vizit has been completely removed from the Farm.